In deciding the overall educational needs of children, often enough importance is not given to imparting real life skills such as, those related to effective savings, budgeting, money management and investment. In the past, money matters were personal, and to be kept within the family. With the increasingly difficult financial conditions brought on by recession and other fiscal challenges in the world, it would be a great time for schools to help to give our kids a fighting chance. In India the need for financial literacy is getting greater because of the low level of literacy and large section of population which remains out of the formal financial set up. Sanchay Chetana (Financial literacy) is considered an important feature for the promotion of financial inclusions and eventually financial stability. Sanchay Chetana (Financial literacy) training has long-term benefits that directly impact the lives of students and their families. The training is valuable at any age; however, the sooner they learn basic money management lessons the bigger advantage they will have. Today, young people are expected to make long-term financial decisions as soon as they leave school. It is therefore crucial that they acquire a basic knowledge of money matters during their time in formal education. Without such knowledge, they are at the mercy of serious hardship that could follow them throughout their. The Financial Stability and Development Council (FSDC) chaired by the Union finance minister is mandated, inter alia, to focus on financial inclusion and financial literacy. 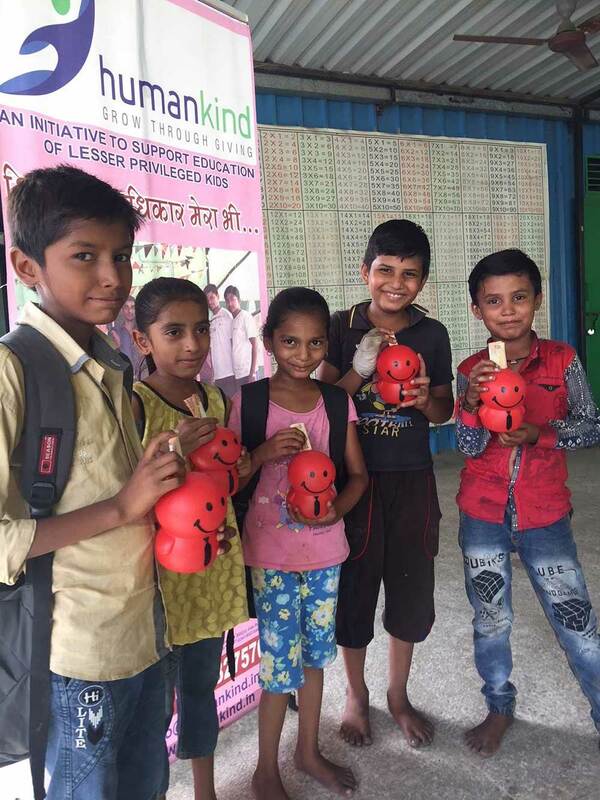 Under the aegis of the FSDC, the draft National Strategy for Financial Education (NSFE) for India was prepared, and it was decided to include Financial Literacy in school curriculum at the national level. At Humankind we have developed a financial literacy program for school students, keeping in mind the need for financial literacy of young children in the current economic context. The program aims at making school students understand the importance of money, how to manage it, concepts of budgeting and saving and thus enable them to be better equipped for the outside world. So far we have trained over 10,000 students from municipal schools across Gujarat. This project is implemented in municipal and private schools for the benefit of less privileged children of the grade 6th to 12th. Sessions are conducted by trained Humankind Change Leaders who donate one hour per week. Budgeting is a session to help people learn how to set financial goals, to make a budget and to track monthly cash flow to make better financial decisions. Savings is a session to help people learn the benefits of savings and how to save. Debt Management is a session to help people understand the responsibility of borrowing, and to help them choose a lender and identify the costs associated with their loan products. It promotes sound borrowing and on-time repayment. Bank Services is a session to help people learn about how banks work, the types of products they offer, and how to choose the right type of bank service for their financial needs. Financial Negotiations is a session to help people learn how to achieve satisfactory, positive outcomes when they negotiate any type of transaction—whether related to business dealings or family decisions. Each module includes a basic overview of the topic, Trainer’s guide with step-by-step instructions for conducting each learning session in the module. We also conduct Financial Literacy sessions for adults.